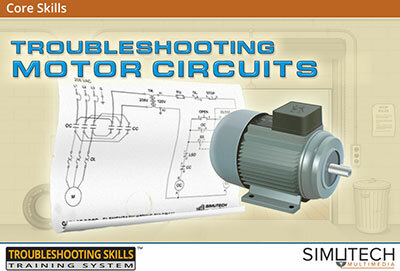 Diagnose malfunctions in motor circuits and their controls working through a realistic garage door simulation. 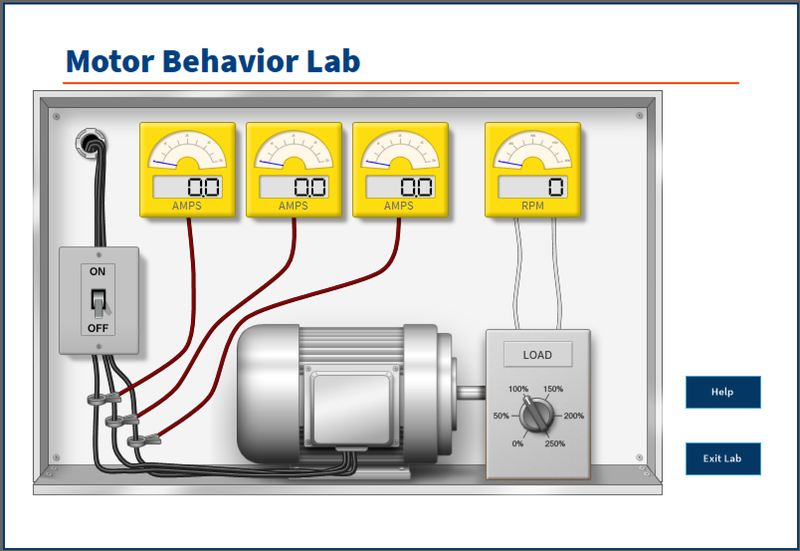 2 lab simulations will teach your professionals about motor behavior, control circuits, and protective components, as well as techniques for troubleshooting these circuits. 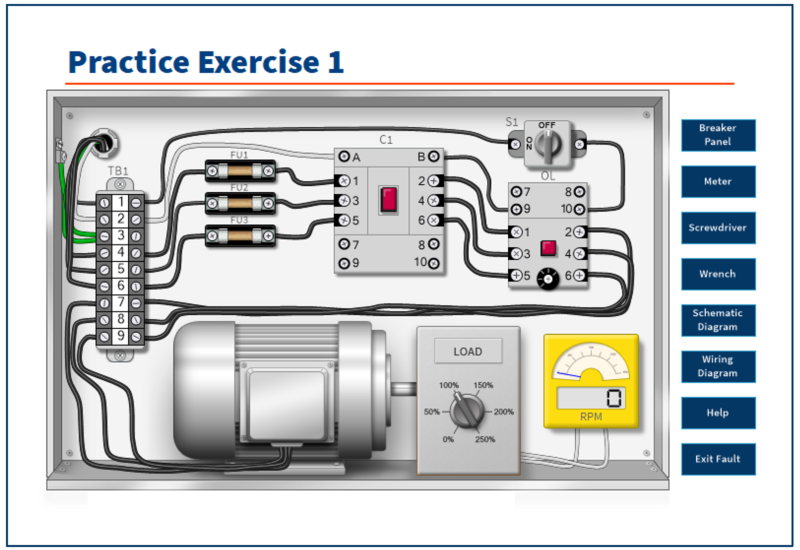 The main simulation—an industrial garage door and control circuit—includes a variety of components including three-phase motor, transformer, contactors, overloads, fuses, pushbuttons, and limit switches. 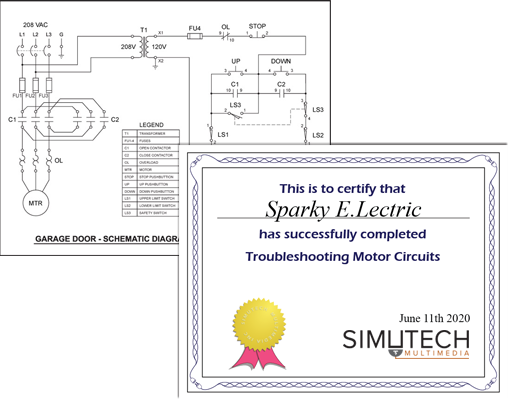 To get the most out of this program, users should have a basic knowledge of electrical theory and should have completed the Troubleshooting Electrical Circuits program.